The driver for this particular wagon design, and maybe the company’s confidence, was the Department of Transport’s identified need to build 650 new by-passes under its road building programme, which of course attracted the attention of aggregate suppliers. Carrying bulk aggregates over long distance by road to a target site would obviously be expensive, both financially and environmentally, so why not bulk haulage to a nearby railhead? At the time, aggregates would typically be discharged from conventional hopper wagons into stockpiles, like a merry-go-round coal train – by way of undertrack structures, from which the aggregate would then be loaded onto lorries. Clearly, with the government’s road building plans going ahead, construction of several hundred temporary discharge points for stockpiles at the railheads was out of the question. The answer, so far as Standard Wagon was concerned, and in partnership with Redland Aggregates, was of course the self-discharge train. The idea was a train of hopper wagons, using a built-in conveyor built to discharge the stone. Simple enough you might think. The wagons were grouped in sets of 5 or 10, with the conveyor belt running underneath and between all wagons, and at the end of each group, the system allowed the transfer of stone to another group of wagons, or onto a transfer / unloading wagon. The fixed section of wagons were connected to one another using British Rail’s standard Freightliner coupling gear, whilst the hopper wagons, designated type PHA were mounted on GFA pedestal axles, built by Gloucester Carriage & Wagon. The unloading wagon was fitted with a boom, mounted on a turntable, which could be rotated to discharge the stone to either side of the wagon, either onto a lineside stockpile, or even into a lorry. Standard Wagon received an initial order for four 10-wagon sets, each having 8 wagons sandwiched between the two boom transfer wagons, one of which carried a 65hp diesel engine, and the other a belt tensioning device. The boom transfer cars were fitted with an adjustable swinging arm boom and conveyor, and stated to be capable of delivering 1,500 tonnes of aggregate from Redland’s quarry at Mountsorrel. When travelling to or from a site – quarry or lineside location – this rotating boom was supported on a steel frame on the outer wagons, and locked in position. Initially they were formed into trains of 20 hoppers, and first entered service in April 1988. In the same year, a second order for five SDT trains, but connected as 8 wagon sets, and these went into service in 1989. Standard Wagon claimed that trains of almost any length could be formed with this system, given the modular nature of the design and build. The idea had been developed in the USA, but on shorter trains than normally used in the UK. An early prototype was built at Heywood in 1982, to develop the concept using a standard ‘PGA’ hopper wagon, with a conveyor belt fitted beneath its twin hoppers, and discharge its contents over and above the solebars to either side of the vehicle. Sadly it was not a great success, but further work was carried out, and the SDT train was born six years later using and developing this principle. At the time of its introduction, the SDT was claimed to be achieving all it was designed for, after loading at conventional batch loading points, the 1,500 tonnes payload could be deposited at the trackside. The company also suggested the load could be delivered over a hedge into a field – certainly avoiding the need for costly offload site preparation or planning permission. The booms at either end allowed material to be offloaded, according to the manufacturer at a rate of 1,000 tonnes per hour, but it was this ‘rotating boom’ that was at the centre of one of the most serious accidents in which the SDT was involved. In February 2016, an accident occurred at Barrow-upon-Soar, when an East Midlands Train – the 10:20 Leicester to York service – a Class 222 set, number 222005 collided with the discharge boom of the SDT, which was stationary in a siding next to the main line. A fault caused the boom to be rotated out over the main line, and it struck two cars of the train, which was travelling 102 mph (163 km/h), but thankfully it was not derailed. Sadly a fitter who had been working on the boom wagon was badly injured, although no one on the passing train was injured. The RAIB (Rail Accident Investigation Board) made a number of recommendations, including for improvements needed to the SDT’s owners, operators and maintainers methods of assessing risks and hazards. 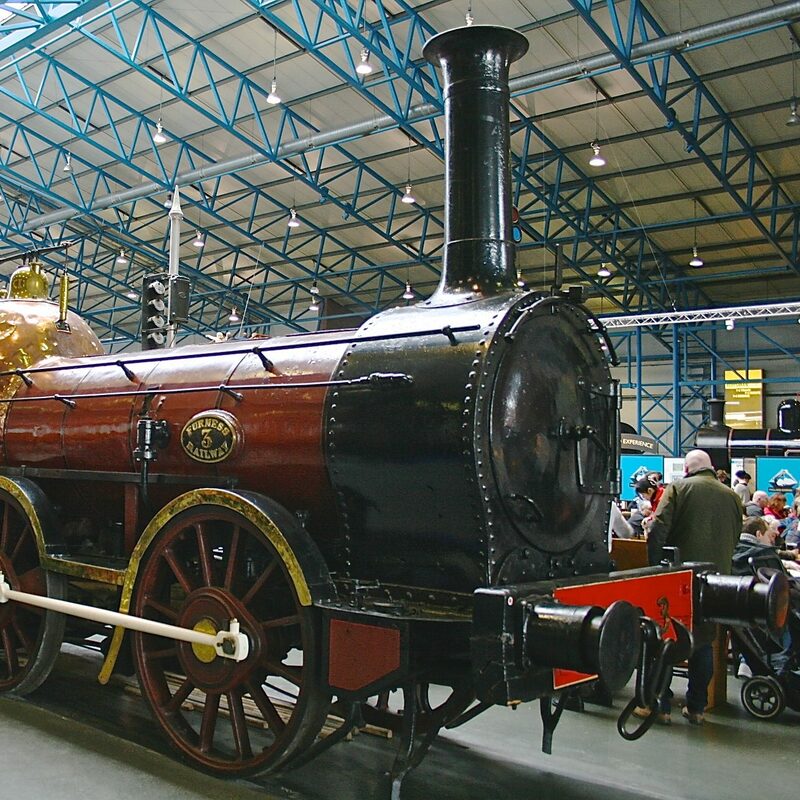 The maintenance company, Wabtec, were required to improve their management processes, and the then owners, Tarmac, were required to improve processes for determining when to instigate interim safety measures, as wagon conditions deteriorated. An SDT had suffered another accident some 9 years before, in June 2007, when the type PHA hopper wagons used in the SDT were involved in a serious derailment at Ely, in Cambridgeshire. This train was en route from Mountsorrel to Chelmsford, and consisted of three ten-wagon sets and one five-wagon set but derailed causing substantial damage to a bridge over the River Ouse. Thankfully no injuries resulted from the derailment, but both the section of line and part of the River Ouse were closed for 6 months. Standard Wagon of Heywood was registered in November 1933, and 70 years later, following acquisition and integration with Cardiff based Powell Duffryn in 1989, the company had effectively ceased trading. Powell Duffryn itself, a general engineering business and ports operator, was sold to a venture capitalist in 2000. Currently, it is listed as a non-trading company, based in Bracknell, Berkshire, but classed as a builder of locomotives and rail vehicles. Once acquired by Powell Duffryn, they continued in the manufacture and repair of goods wagons, and bogies, but barely 2 years later in 1991/92, things had started to deteriorate, with orders drying up, and as Standard Wagon, the company made a loss of almost £1 ¼ million in 1992. The company still had its innovative wagon design, and was clearly hoping to sell the product to a wider customer base, than just Redland Aggregates, but the losses continued and all wagon-building operations ceased in 1993/94. Today, as part of French construction materials company Lafarge, three SDT trains are still in use in the UK, each of course based at the Mountsorrel Quarry. A fascinating experiment with innovative ideas for the loading and unloading of aggregates in bulk, but one which, despite massive investment in road building in the UK has not been an outstanding success. At least the engineers, designers and wagon builders at Standard Wagon in Heywood can take some comfort for the fact that their innovation is still in operation today. With the system passengers – or intending passengers – will of course need access to a smartphone or tablet, to connect to the on-board Wi-Fi network to see where the seats are located. This will show as a location map on their devices. But of course seats that have been reserved, have always been shown on Virgin Pendolinos – the LNER system differs only in that you have to have a smart device, and then wait 5 minutes on board, before interrogating the system to see if there is a seat available. It’s even more useful than that, seats shown in amber (aka a traffic light system), have only been reserved for part of the journey. This means that you will be able to sit for some of the time, and then stand for the rest …. unless of course someone else on the train has nabbed the seat before you. It’s the genuinely ‘free’ seats I think are a potential launchpad for conflict. Let’s say two passengers – neither having a seat reservation – find the same free seat, would it then be a foot race to see who gets there first. Then, once at the seat, how do you decide who should then occupy this seat, so that the on-board system can update itself, as it scans the physical space to see if someone has sat down, and updates its database before the next station stop. Picture if you will the scene on a station platform as the train rolls in – the passengers with reservations are OK – but then there are the last minute passengers, who just buy a ticket to travel. People now have their phones at the ready waiting to board, and impatient to access the on-board Wi-Fi to access the ‘free seats’ map, and the scramble for best position begins near the door. The complex mess of passengers trying to get off, with others trying to board, and access the Wi-Fi, or just clogging up the vestibules at the coach ends, along with copious amounts of luggage. It was announced back in August 2018 as a trial, but I’m sure it will all go swimmingly, now that they’ve rolled it out fully, and the need for passenger angst, or guards on trains will be diminished still further. Falling back on technology just because you can develop an app may not be the best way, but still, at least nobody will actually need to speak to a fellow traveller at all.